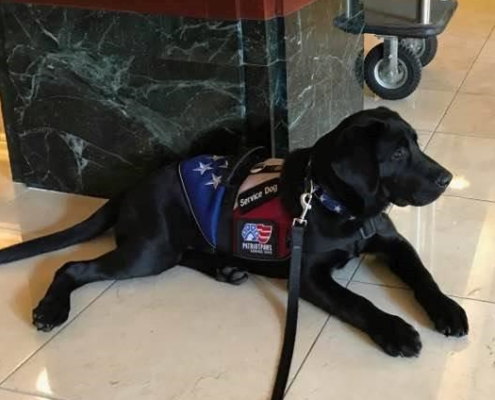 Training Director – Bonnie, shares her passion for helping disabled veterans and raising Patriot PAWS puppies. Founder and Executive Director, Lori Stevens, shares her #WhyIGive story. Patriot PAWS – What Is A Puppy Raiser? 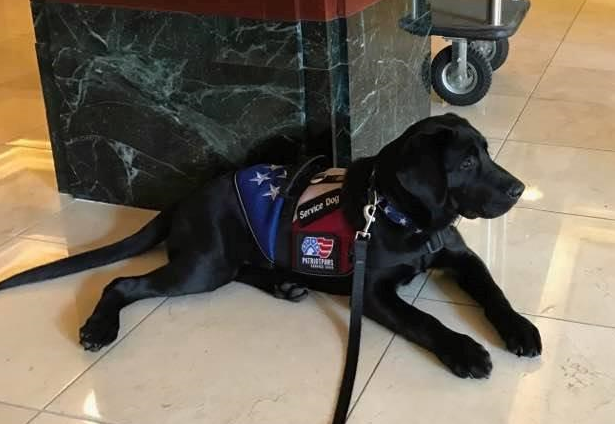 Patriot PAWS Volunteer Puppy Raiser, Tammie Zaleski, shares her passion for helping disabled veterans and raising Patriot PAWS puppies. 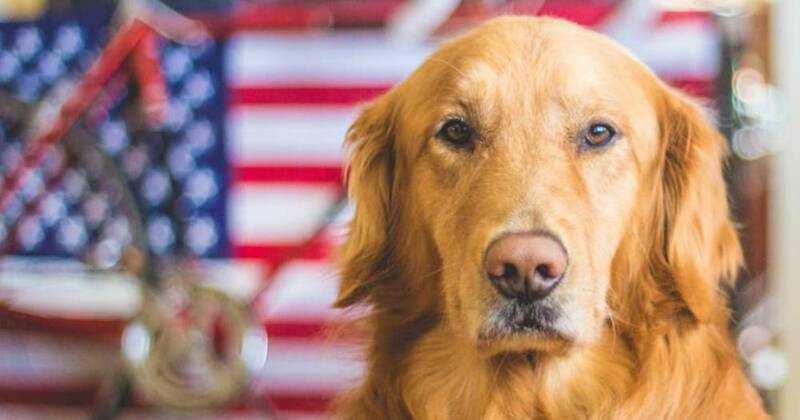 https://patriotpaws.org/wp-content/uploads/2017/04/PPSD-Logo-Color-300x109.jpg 0 0 Patriot Paws 1 https://patriotpaws.org/wp-content/uploads/2017/04/PPSD-Logo-Color-300x109.jpg Patriot Paws 12017-08-25 14:41:402017-10-20 10:18:55Patriot PAWS - What Is A Puppy Raiser? GATESVILLE – Inside this women’s prison North of Gatesville, two people with very different lives will forever be connected by a dog named Stan. Inmate Nicole Windham’s five DUIs got her a sentence of 13 years. “If you don’t take responsibility for it and say, ‘I got myself here,’ and humble yourself – that’s been the biggest thing, humbling yourself from wherever you came from,” Windham said. See the full story and video here. 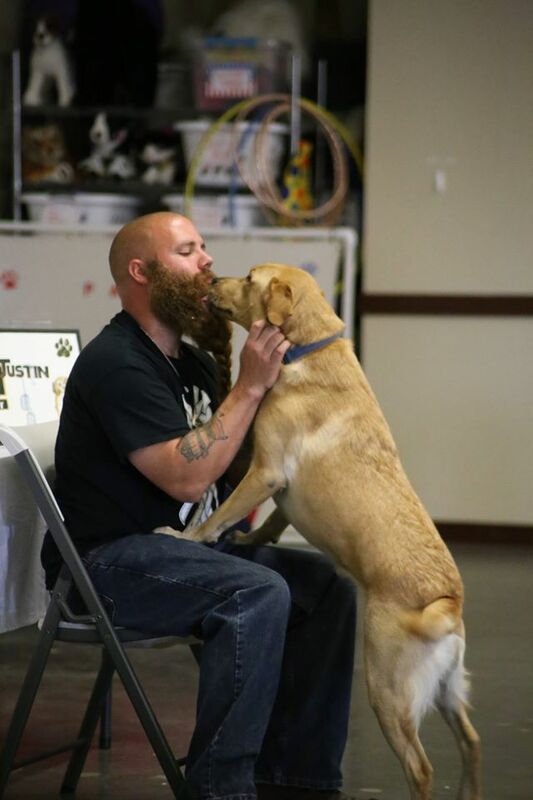 Every Veteran Deserves A Service Dog! 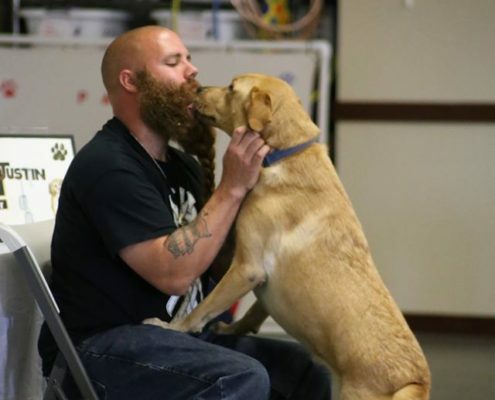 Patriot PAWS is a non-profit dedicated to providing disabled veterans with service dogs and no cost to the veteran. 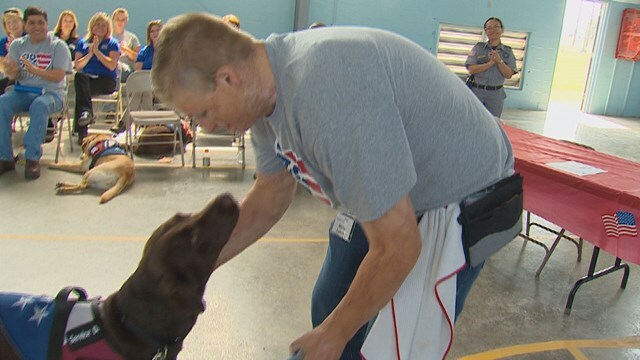 Each service dog is specially trained by elite dog trainers to assist and protect veterans with life-altering injuries, PTSD, and other disabilities. 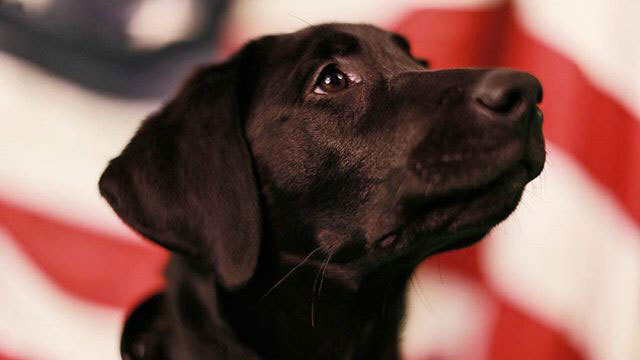 Each dog takes approximately two years to train, costing the organization around $33,000 per pup. Now, The Texas Federation of Republican Women is raising funds to help! 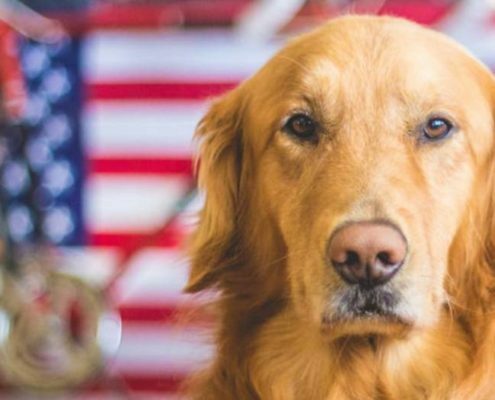 https://patriotpaws.org/wp-content/uploads/2017/04/PPSD-Logo-Color-300x109.jpg 0 0 Patriot Paws 1 https://patriotpaws.org/wp-content/uploads/2017/04/PPSD-Logo-Color-300x109.jpg Patriot Paws 12017-05-01 14:06:002017-05-01 14:11:14Every Veteran Deserves A Service Dog! 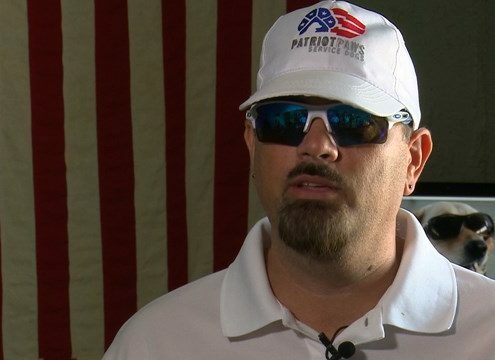 Retired U.S. Army Ranger Aaron Mixel is standing on the side of a road in Rockwall; it’s something he says he couldn’t do two years ago. You look around most streets and you see debris on the sides and the work cones, and these are things they’ve put IEDs in. Mixel served in the military for 20 years. He enlisted in his home state of California at the age of 17. In 2009, he was in Afghanistan when an IED exploded right next to him. He was only partially blocked by the Humvee he was standing next to at the time. He suffered brain damage, lost his right eye and his arm was torn up by the shrapnel. Click on the link below to see the full story. Tommy is back and the Good Day anchors get an update on him and find out what else he’s doing in town. 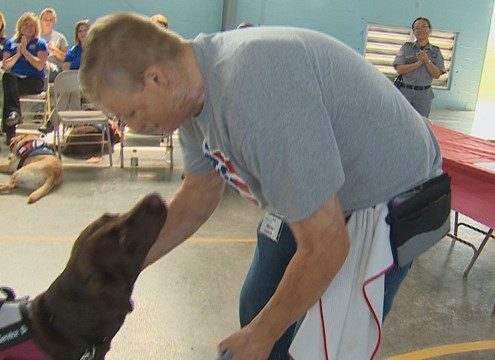 Fox 7’s favorite service dog is back in Austin. 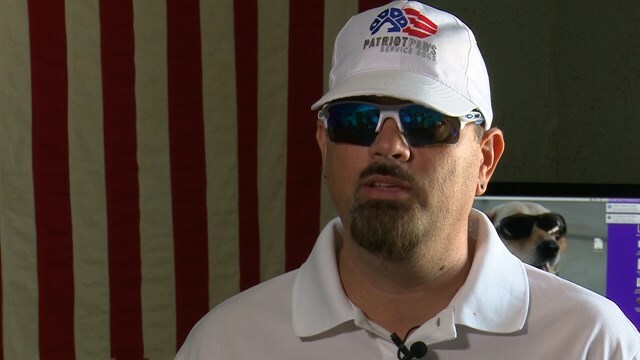 He’s in the Capital City on behalf of Patriot Paws to help get a law passed. The pups of Patriot PAWS Service Dogs were a slam-dunk hit during pregame of the Lady Hawks vs Lady Jackets basketball game on Friday, January 20, 2017. The adorable ‘Ballers’ gave away tons of puppy kisses and smiles to fans of both teams at the Rockwall-Heath High School Gym. 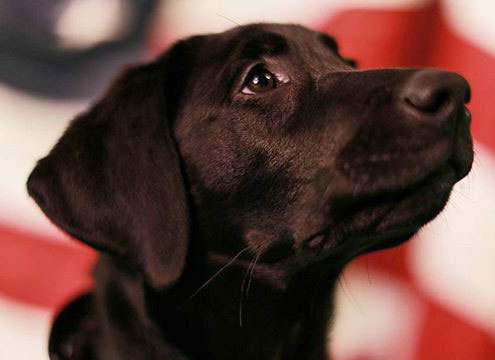 Patriot PAWS is still having trouble getting service dogs to disabled veterans quickly enough. In fact, the average wait is more than three years long. While three years is a long wait for anybody, for veterans who suffer from PTSD, knowing help is three years away seems like a lifetime. Click below to see the full story.